Just bought a house? Congratulations! You're stepping into the big, beautiful world of real estate. There are a lot more decisions to be made than just which curtains should be hung up in the living room and which color would look best on the walls. Just as you're going to have fun with decorating, you're also going to have "fun" with maintaining the house. There are going to be parts of the maintenance process that are absolutely annoying, but that doesn't mean that you aren't going to be able to step back and appreciate how everything comes together. Whether you realize it or not, you have to take care of the property in order to help it grow over time. You can always tell a house that hasn't been maintained properly. Even if the outside looks nice, there are hidden signs that there may be more lurking underneath the surface than meets the eye. What about your bathroom? Your bathroom is a place where moisture can run wild and turn into a big variety of problems -- namely, mold and mildew. Mold is something that directly threatens your family's health, so it really does make sense to knock out mold as soon as possible. The best way to treat mold is to honestly make sure that you aren't getting it in the first place. This is generally done through waterproofing the bathroom so that you cut off all of the little cracks that mold can get into. If you haven't guessed by now, mold is very opportunistic when it has dark, moist spaces to grow in. The mold will spiral out of control quickly, choosing to grow as much as possible until it's killed off. This is a costly process that can take longer than expected. The bottom line cannot be stressed enough: waterproofing your bathroom really is the first line of defense against mold. Now, at first glance, this might sound like the world's toughest project, and you don't want to take care of it. There's nothing that says every homeowner has to handle all of the maintenance on their home by themselves. That would just be downright exhausting. It actually makes a lot more sense to think about getting waterproofing done by a trained team of professionals. Not only will they make sure that the job is done right the first time, but they're also going to be willing to fix any and all work that goes awry. If it's their fault, they'll take care of it for you. This is going to be a task for a company that's truly an asset to the area. You want to try to find the most established companies in the marketplace. Ask plenty of questions to get a good idea of what they actually bring to the table in terms of value. You have to step back and be able to ask -- and answer -- a very simple question: is this company going to be able to deliver what I need in a reasonable fashion? If the answer is yes, then you can move forward with them. But if the answer is no, then you're better off looking elsewhere. Overall, now is the perfect time to talk to a contractor about waterproofing the bathrooms in your home. You'll truly be glad that you did! Getting ready to get bathroom waterproofing? You're definitely on the right track! Ready to take the next step? Just check this site out. 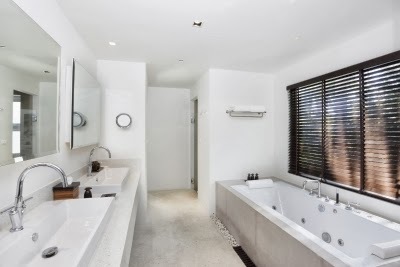 Yeah, It is really important to have good waterproofing in your bathroom here in Sydney. It makes a huge difference, and water damage can be pretty nasty.